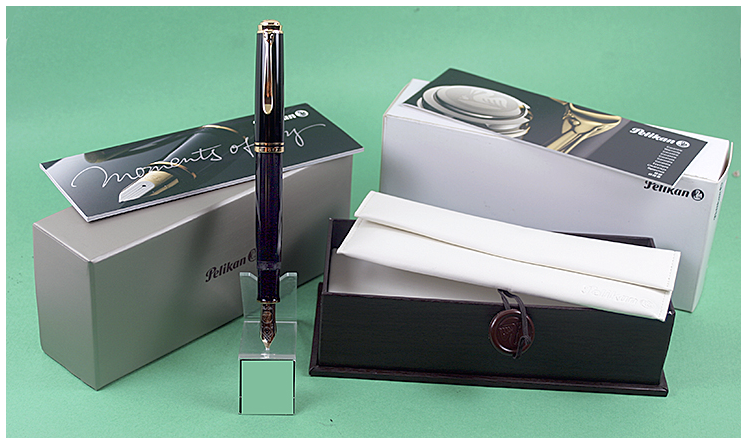 The beautiful, large Pelikan Souverän M1000 piston-filling fountain pen – the flagship of the Souverän series. The 18KT gold nib is a fine, but because it is such a large nib and a German-made nib, you can expect the fine to run on the broader side. This pen is new-old-stock, and is mint in its original box (box is incorrectly labeled as Green). 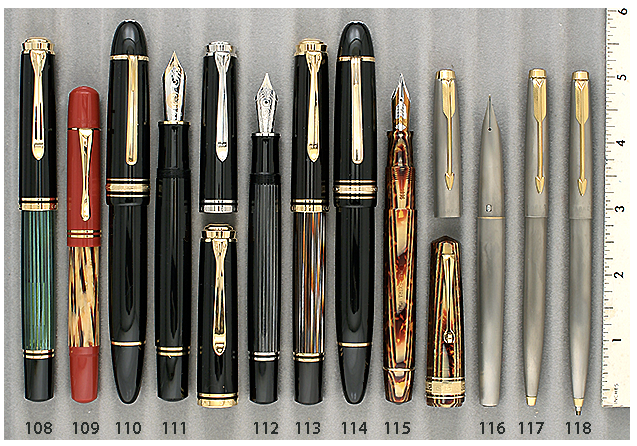 This entry was posted in Modern Pens and tagged Catalogs, Pelikan. Bookmark the permalink. Follow any comments here with the RSS feed for this post. Post a comment or leave a trackback: Trackback URL.